FUNCHAL (PORTUGAL), 5 July 2008 – Following the improvement strategy which is already planned for the 2009 FIM Motocross World Championships, series promoter Youthstream announces another step forward for the next season. 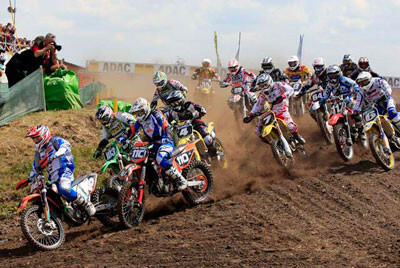 The news concerns the FIM Women’s Motocross World Championship, which will go live on television in 2009. With the new race format featuring the first moto on Saturday and the second moto on Sunday morning at 11, the latter race will be broadcast live to benefit from the MX1 and MX2 series’ worldwide TV coverage, to be also reinforced for the forthcoming season. The 2007 series had almost 695 million spectators for a total of 902 hours of TV broadcasting (data from Sports Marketing Surveys). The new plans for 2009 see an increased involvement from the teams and the manufacturers who have started to consider this fast growing Championship more and more. In order to match this interest Youthstream has decided to make a further effort and to take the second and final moto of every event live on television. The start to a Women’s World Championship moto.